Temenggong 18/20, a new arts and cultural centre with a specific focus on cross-cultural exchanges, music, the role of the arts in healing, opens its doors this July. 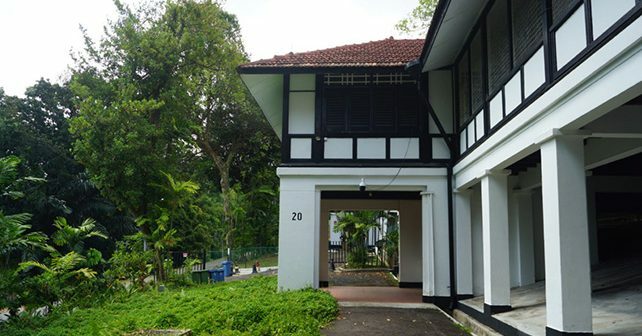 Located within two historic black and white bungalows on the slopes on Mount Faber, programmes at Temenggong 18/20 will be managed by Global Cultural Alliance Ltd (GCA), a not-for-profit arts organisation which focuses on developing original content and platforms for Singapore artists, as well as engages in cross cultural programmes. Following its opening, Temenggong 18/20 will see an exhibition, A Message from Outside, featuring art works created by inmates from Changi Prisons’ Visual Arts Hub and residents from a home for the elderly, United Medicare Centre (Queensway), as well as a month of workshops by artists on art and healing in collaboration with partners such as Art Apart, a boutique art fair showcasing contemporary art. To this end, the Stephen Riady Group of Foundations has made a donation of $100,000. The donation of $100,000 is made from Dr Stephen Riady, Executive Chairman of OUE Limited, through the Stephen Riady Group of Foundations to The RICE Company Limited in support of the programmes which focus on the role of arts in healing at Temenggong 18/20. Temenggong 18/20 is an initiative of not-for-profit organisation The RICE Company Ltd (TRCL) which focuses on identifying and developing opportunities for all in the arts and creative industries.